These online retailers offer plenty of bikinis and bathing suits for women of all sizes. Now that Victoria's Secret no longer sells swimsuits, women across the country have been asking themselves one frantic question: "Where to buy swimsuits?!" Fret no more! Thanks to the glory of the internet, there are plenty of other options that don't require an awkward dressing room moment and offer more inclusive sizing. 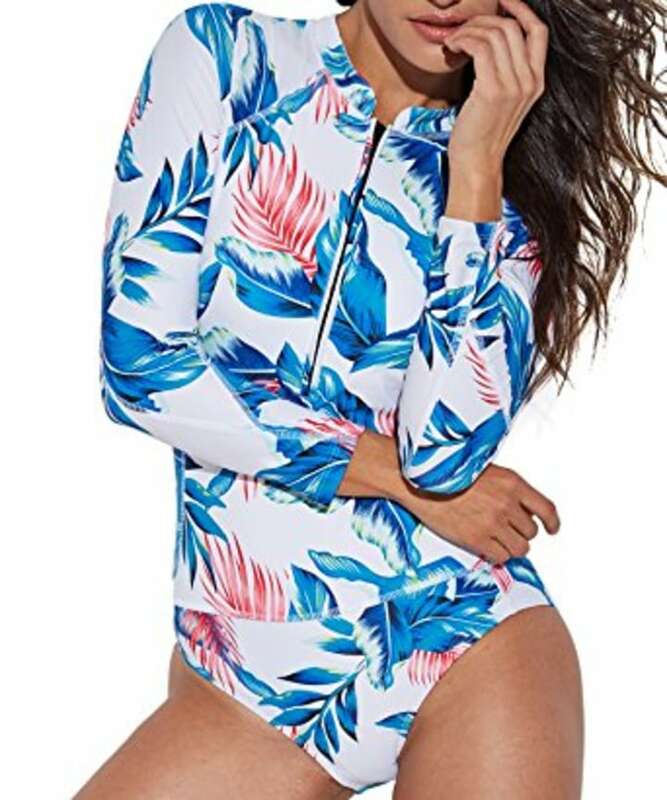 Whether you're heading to the beach soon or just wishing for a tropical vacation, Shop TODAY rounded up the best retailers for online swimsuit shopping including plus sized bathing suits in 2018. Amazon is amazing for our everyday purchases, but the retailer has a huge fashion selection, too. Their swim collection has bikinis, one piece swimsuits and plus size swimwear galore. For last-minute vacation shopping, we don't know what we'd do without Prime shipping!. If you are looking for one-pieces, this striped version from Cocoship is $24 and an Amazon best-seller. From color-blocked one-pieces to bikini tops in pretty prints with flutter sleeves, you'll have a hard time choosing between all of Eloquii's plus-size swim options. Mix-and-match or buy them all ... It's up to you! Right now, Eloquii is having an up to 50 percent off swimwear sale with code YESPLEASE. This specialty retailer sells only swimwear — meaning they take this stuff pretty seriously. Brands include Vix, Ella Moss, Splendid, Beach Riot, Nautica and more, and they offer traditional bikinis and one-pieces as well as tankinis, shorts and modest styles. We especially appreciate their underwire styles and supportive tops. Preppy prints and playful two-pieces dominate Boden's selection of British-meets-Americana swimwear. We love their high-quality materials and full-coverage bottoms. We are also dying over this one-piece with a large gingham print and retro vibe. ModCloth is a swimwear mecca, and the retailer knows a thing or two when it comes to dressing a woman's body. From high-waisted bikini bottoms to sweetheart tops and funky one-pieces, they've mastered swimwear that highlights your favorite body parts —without making you feel completely bare at the beach. Their swimwear comes in a wide variety of patterns, colors and sizes, so you're sure to find a suit that works for you. This super-flattering suit also comes in a cherry or gingham printed version and solid colors. This fast-fashion online retailer pulls out all the stops when it comes to hitting the beach. Their suits are stylish and fashion-forward, yet still budget-friendly enough to fill your cart with a couple of options. They have a large selection of sizes and cater to specialty sizes including tall, petite, curvy and maternity options. No matter your body type, this one-stop shop will have an option for you! 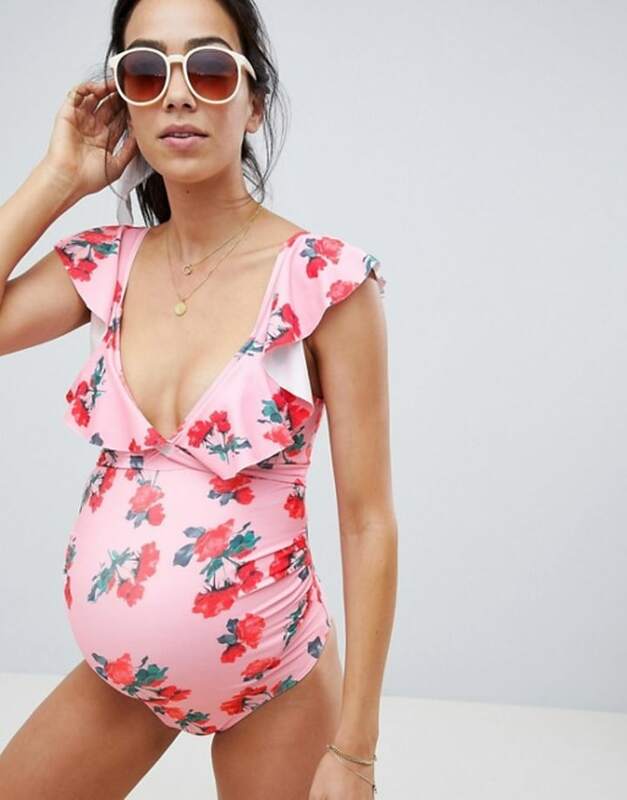 We love ASOS for their maternity-geared styles. Browse more here! If they're good enough for supermodel Ashley Graham (see one of her picks here) and superstar blogger Gabi Gregg, they're good enough for us, right? We love that Swimsuits For All has pretty much every cut of swimsuit imaginable — from trendy to timeless — all in sizes 4 through 34. It should come as no surprise that Nordstrom is one of the best online swimwear shopping destinations. They have everything you could need in a wide range of sizes. We love that Nordstrom has a huge variety of brands (including Nike, J.Crew, Topshop and Vix) meaning you're sure to find a swimsuit that fits your budget and flatters your figure. Regardless of what you're looking for, Target should be one of your go-to destinations for all things swim. From trendy, color-blocked bikinis to maternity one-pieces, this is one-stop shopping for everything you need for summer. With so many affordable options, you might even be able to get a new cover-up to match without breaking the bank. These didn't make our top list but are definitely places you should check out if you are looking for a unique suit that no one else will have! This article was originally published on April 22, 2016 on TODAY.com.